A very simple fruit dessert! Oil a 9 x 13-inch baking pan lightly. 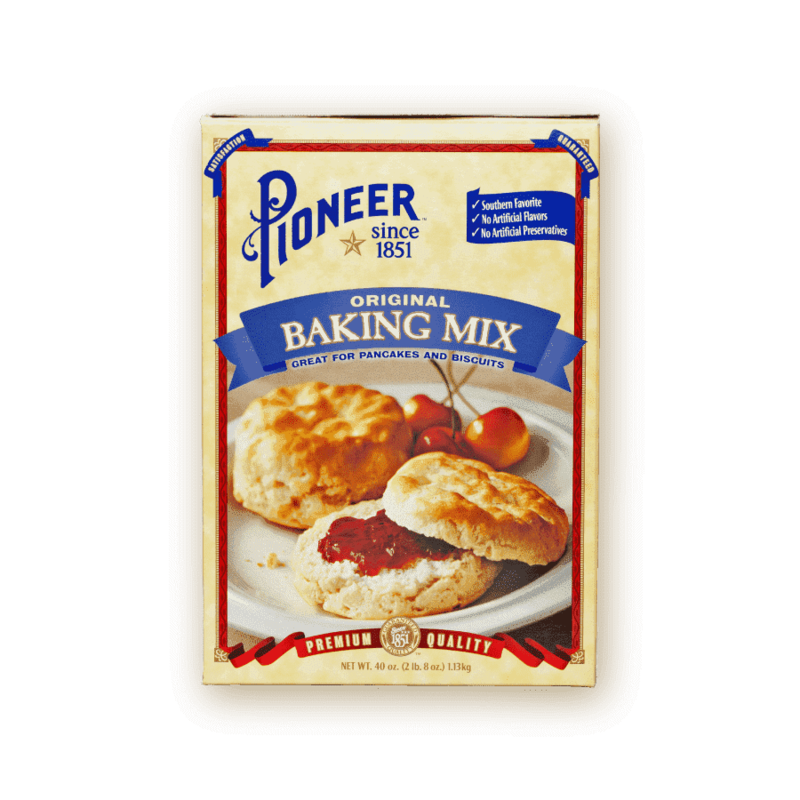 Combine Pioneer Baking Mix and sugar in a large bowl; blend well. Add milk and eggs to mix. Mix well, about 50 to 60 strokes. Pour melted butter evenly over surface. Spoon pie filling on top. Sprinkle with cinnamon.